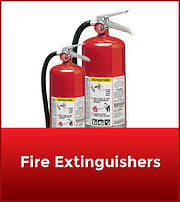 Fire extinguishers are vital, creating a layerd web of fire safety everywhere. Yet, inspections are rarely performed. en-Gauge's electronic monitoring technology for fire extinguishers insures the fundamentals are ready when we need them and alerts authorities when fire extinguishers are activated for use. en-Gauge Fire Extinguisher Monitoring system notifies facility managers the moment a fire extinguisher is pull from it's mount, when the fire extinguisher's accessibility is blocked or when its pressure falls below safe operating levels. en-Gauge's technology can instantly send an alert to the building’s fire, security control panel or listed building monitoring system. The technology is compatible with most fire alarm systems globally and integrated with most leading building control systems. Don't see your alarm provider listed? That's OK, en-Gauge's technology meets NFPA 72 requirments and can easily connect with your provider's system. Contact en-Gauge today for more information. 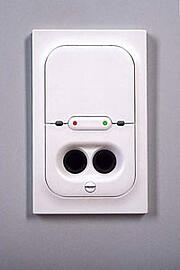 The en-Gauge enabled fire extinguisher hangs on the wall just like your current extinguisher. But unlike the traditional approach, the en-Gauge enabled extinguisher utilizes a smart pressure gauge that sends an electronic signal when the pressure level has dipped below an operable level. 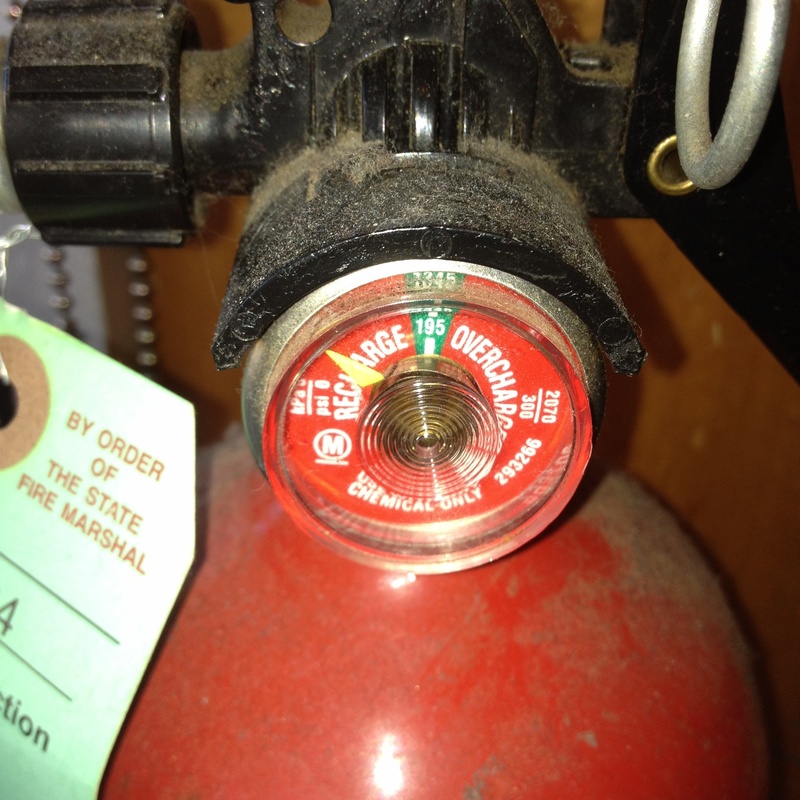 This is an important feature, considering that 25% of inspected fire extinguishers are below safe operating pressure. en-Gauge ties fire extinguishers into alarm monitoring systems through our smart tether connected to the pressure sensor. 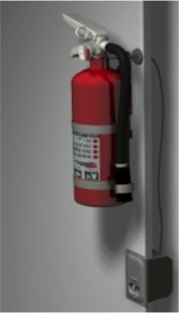 As soon as the extinguisher is pulled off the wall, the disconnected tether trips a switch and sends an electronic signal to your alarm system, notifying you the instant the extinguisher has been removed. 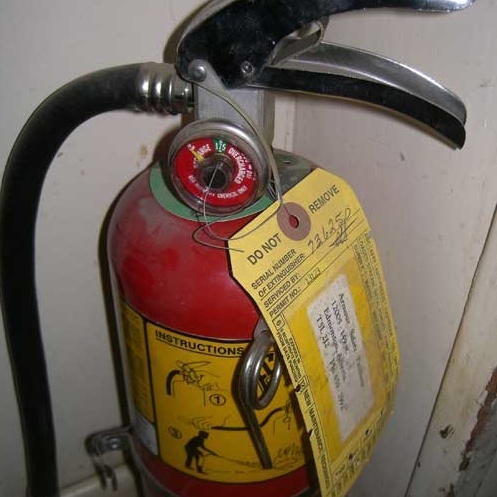 Fire extinguishers can often become blocked creating a building code and Americans with Disabilities Act violating hazard. The en-Vision accessibility and obstruction sensor serves as a remote set of eyes, watching the access. 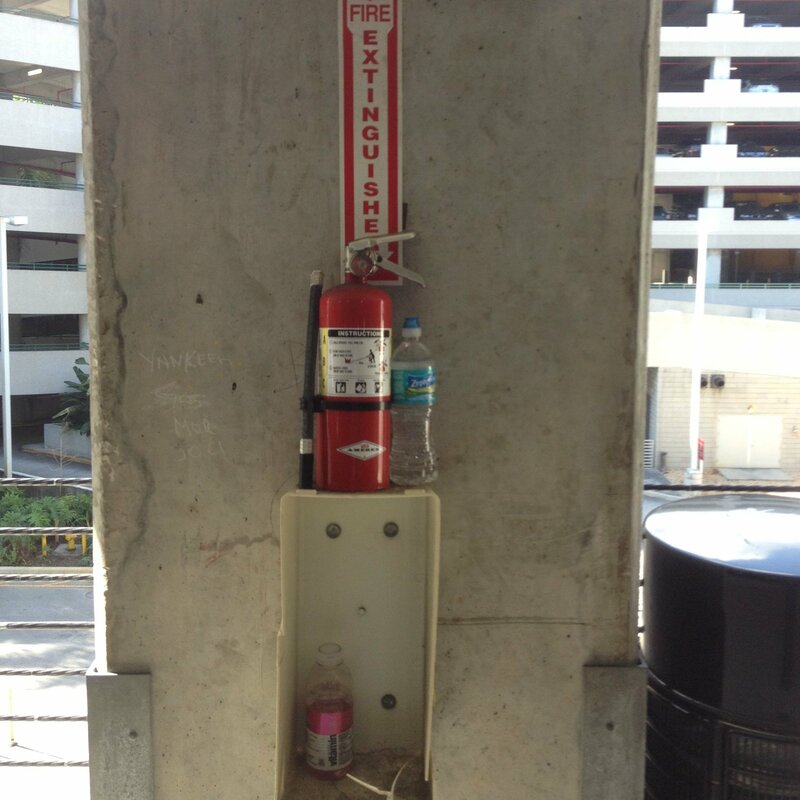 If something is blocking the sensor, which sits below, the extinguisher, it trips a switch. A prolonged obstruction notifies you through a trouble signal to the building monitoring system.